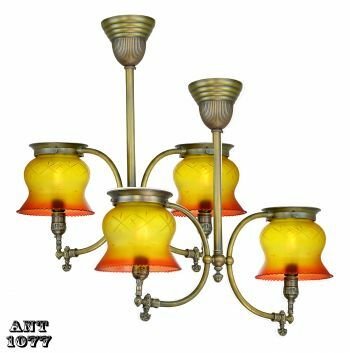 Halcolite Company was located in Brooklyn, NY on 68 34th Street. 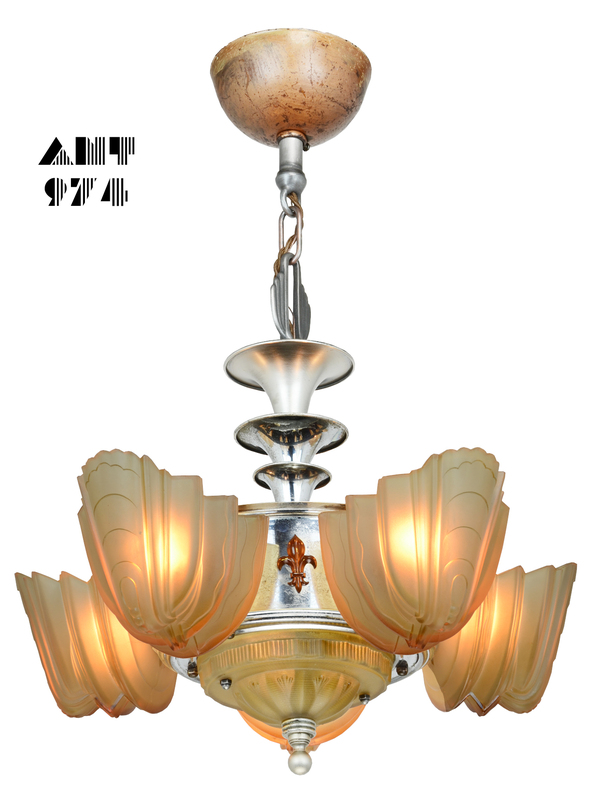 The date of this chandelier is 1938 or before as it appears on a price list from Halcolite dated 1938. 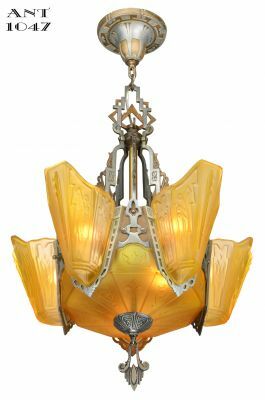 This chandelier was from their Danbury Series. 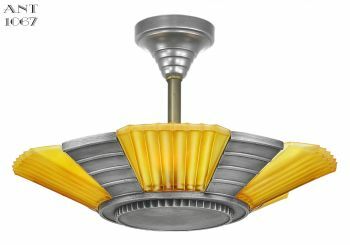 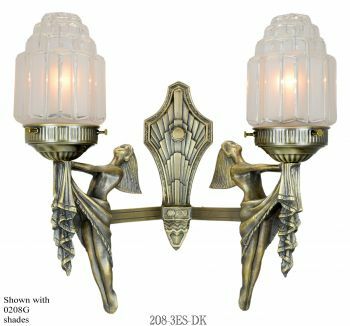 They were not as big of company like Lincoln or Markel, but, they did make some very interesting, and uniquely different Art Deco lights....and now... harder to find Art Deco lights. 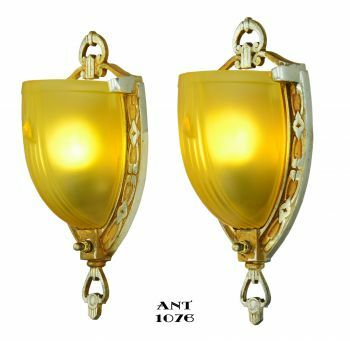 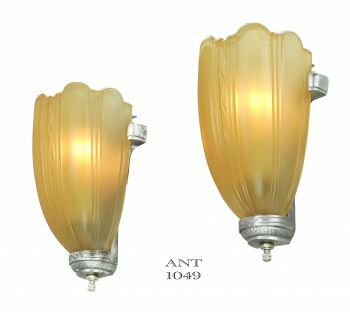 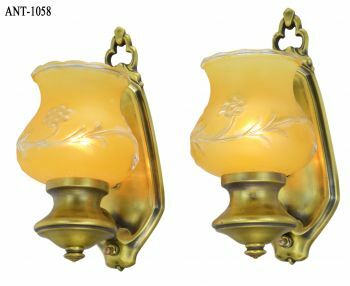 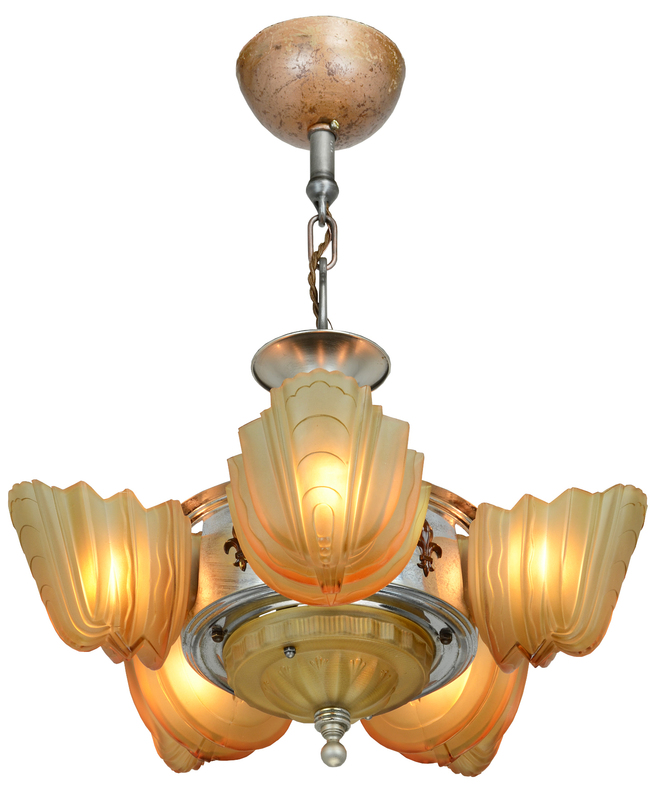 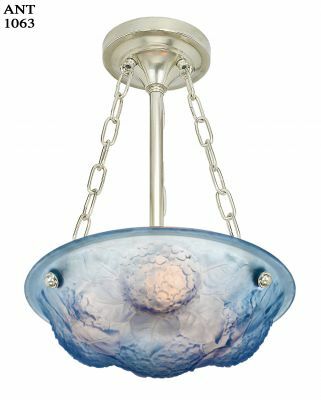 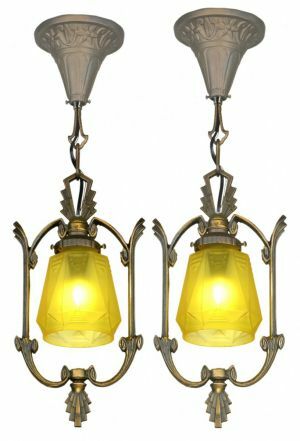 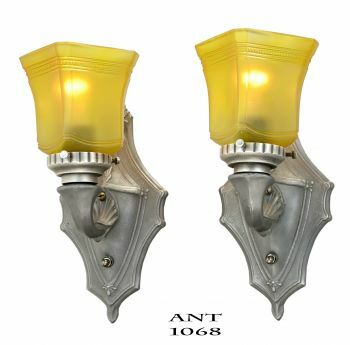 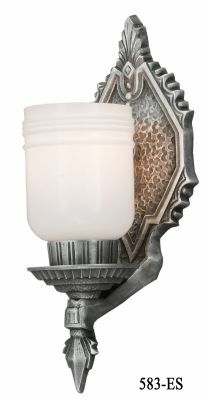 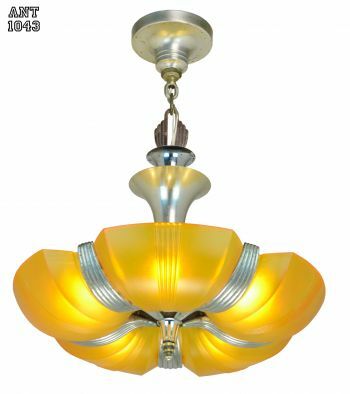 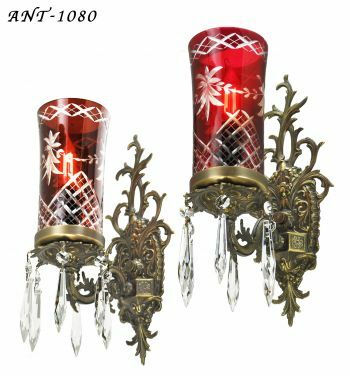 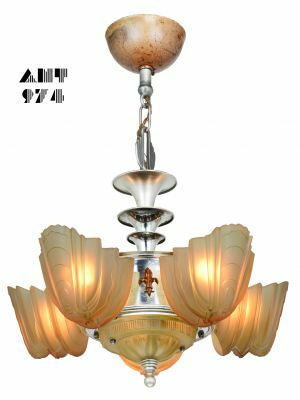 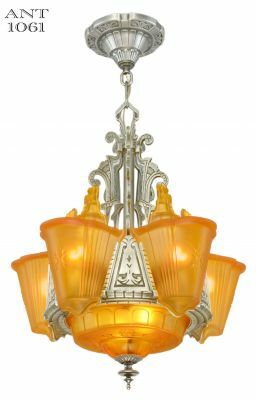 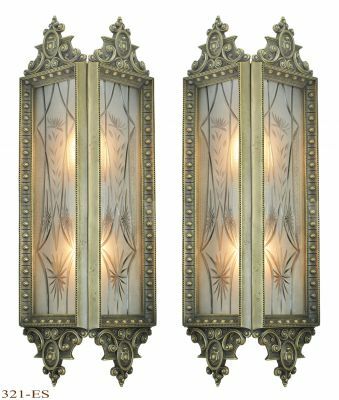 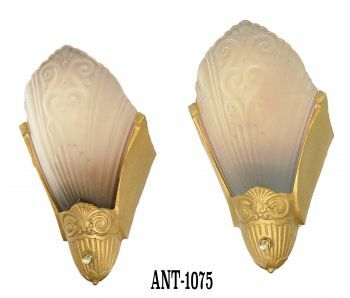 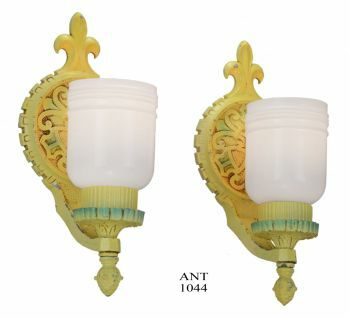 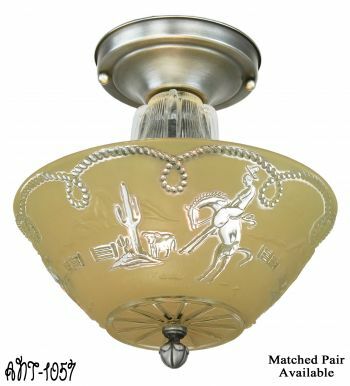 This 5 slip shade, with additional bottom shade, chandelier is just such a “hard-to-find” and collectible light. 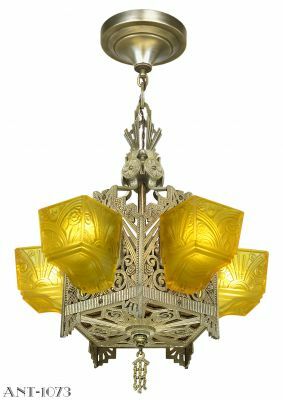 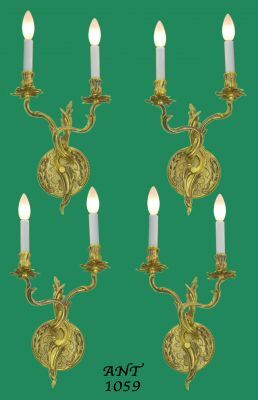 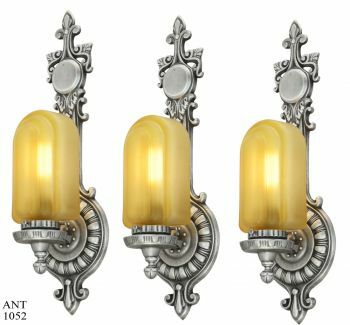 Naturally, this 6 shade chandelier was considered top-of-the-line since it was the most expensive model of this series. 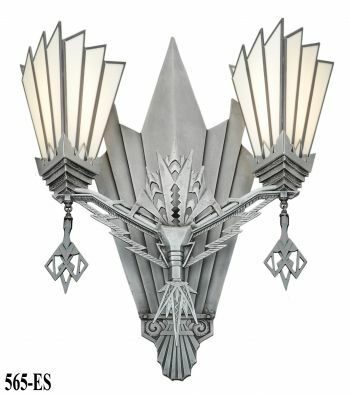 The design elements are definitely Streamline deco. 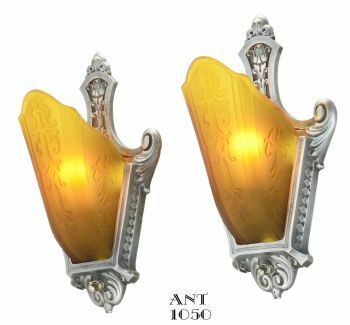 The shades are in excellent condition. 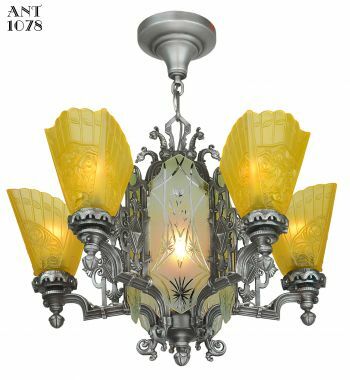 The metal of the chandelier has not be over-cleaned. 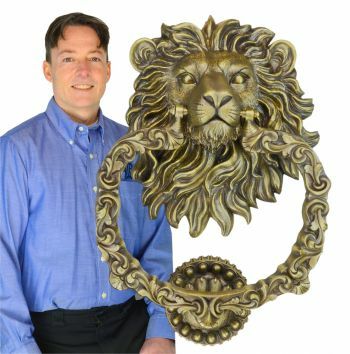 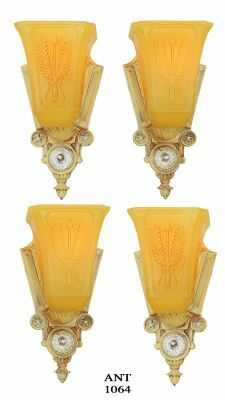 It is still showing the aged condition, compenserate with being produced in the 1930s. 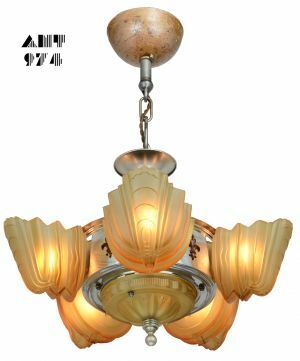 We have totally re-wired this collectible chandelier in our UL shop with medium base sockets All 5 slip shade sockets can handle 100 watt bulbs. 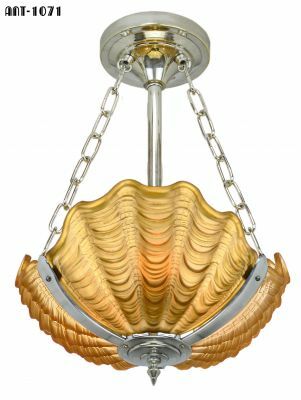 Measurements: Overall from the top of the canopy to the bottom of the finial is 24”; diameter is 17”. 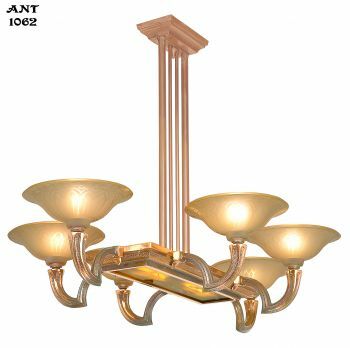 The length can be increased if so desired..for a small additional charge.